Paris, also known as the City of Light, is one of the most frequented travel destinations by tourists all over the world. Fun-filled attractions, fascinating museums, great cuisine, beautiful churches, and lovely shopping activities all makes your trip to Paris the most memorable ever. 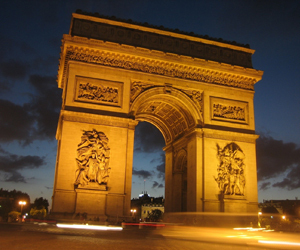 The French capital receives over 40 million visitors yearly and the numbers are still growing. Are you looking to book flights for that dream vacation to Paris and spend quality time with your loved ones? With the help of travel search engines, you can get cheap and affordable flights to this wonderful city. Paris Charles de Gaulle Airport also known as Roissy Airport, is the largest and busiest airport in Paris. It is also regarded as one of the principal aviation centers in the world. The airport is named after Charles de Gaulle, a renowned founder of the French Republic and leader of the free French Forces. Located 25 km north east of the French capital, the Paris Charles de Gaulle Airport serves as a major hub for Delta Airlines and Air France. Over 50 million passengers use the airport yearly, making it the second busiest airport in Europe after London Heathrow. Covering a massive area of over 23 square km, the airport has 3 amazing terminals which are magnificently constructed. From the Paris Charles de Gaulle Airport, you can find airlines and book your flight tickets to major cities around the globe. Keep this in mind, when searching for cheap airline tickets to Paris. Paris Orly Airport is an international airport that offers flights to major cities across the Middle East, Europe, the Caribbean, Africa, Southeast Asia and North America. Orly is considered the busiest airport in France for domestic traffic. Covering over 15.3 sq. km, Paris Orly Airport is located 13km south of the French capital and also one of the biggest airports in the world. Prior to the construction of the Paris Charles de Gaulle Airport, Orly was the major airport used by travelers flying in and out of Paris. Opened as a secondary airport to Le Bourget in 1932, the airport is managed by Aeroports de Paris. Over 30 million people passengers are estimated to use the airport annually. Some of the facilities include restaurants, bars, shops and services. Paris Orly airport is serviced by over 30 airlines and also provides easy means of transportation to the city center. Remember this, when searching for cheap flights to France. Some people might be wondering when the best time to visit this beautiful city of Paris is. The French capital is a year-round destination with pleasant and friendly weather conditions to ensure you enjoy a memorable stay. Among the seasons of the year, the best time to visit Paris is during summer. If you are looking to enjoy the most memorable moment of your life, then plan your trip to this beautiful city during the summer months. Experience amazing moments by visiting famous attractions such as the Louvre, the Eiffel Tower and Notre Dame. There are loads of fun things to do especially at this time. The cheapest international flights to Paris are on Mobissimo, the free travel search engine. In addition to cheap international flights to Paris, we help you find the best rates to both major and boutique hotels in Paris. Consider flexible travel dates when looking for the best fares to Paris, off-season travel or off-peak hours, or mid-week flights are all good options to lower your airline ticket fares. Consider also flying to other international airports in France : Agen, Ajaccio, Angers, Angouleme, Aurillac, Avignon, Brest, Bastia, Biarritz, Bordeaux, Beauvais, Brive-La-Gaillarde, Beziers, Carcassonne, Cannes, Cherbourg, Clermont-Ferrand, Caen, Calvi, Chambery, Castres, Dijon, Dinard/Pleurtuit, Deauville, Saint-Etienne, Bergerac, Epinal, Metz/Nancy, Nimes, Figari, Grenoble, Croisette, Lannion, Lourdes/Tarbes, Le Havre, Limoges, Lille, Le Puy, La Rochelle, Lorient, Le Touquet, Lyon, Mulhouse, Montpellier, Marseille, Nice, Annecy, Nantes, Perpignan, Perigueux, Poitiers, Pau, Rochefort, Rodez, Roanne, Rennes, Strasbourg, Toulon/Hyeres, Toulouse, Tours, Quimper, Rouen. Mobissimo is also available on Facebook , Twitter, and other social networks, and our blog post fantastic flights deals to Paris daily.